Plot Twist. It would make a nice ending, wouldn't it?. Wallpaper and background images in the 해리 포터 대 트와일라잇 club tagged: harry potter voldemort twilight edward cullen. It would make a nice ending, wouldn't it? It would have been a great ending. Hooray! 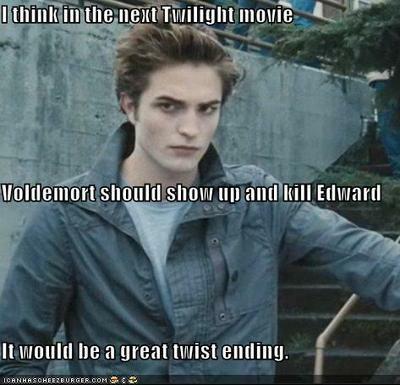 a great feat that would make voldy a hero!